Looking for some easy to make Christmas decorations? Here’s 7 simple ones anyone can do! Christmas is coming up FAST! That means there’s not a lot of time left for horsing around. You gotta get decorated and quick! 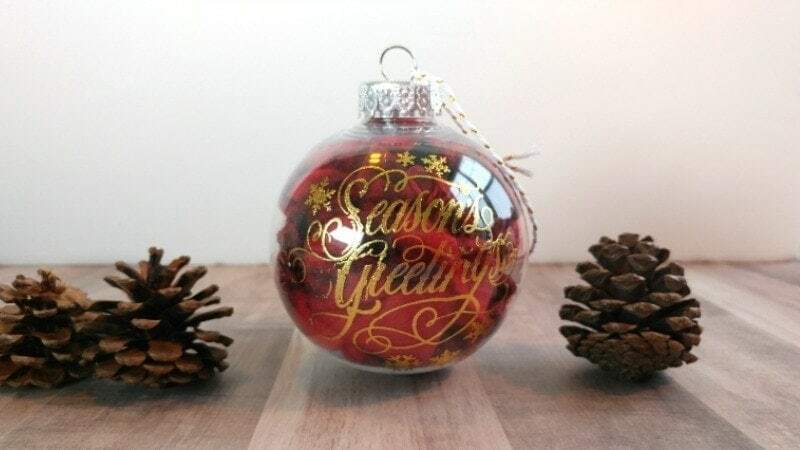 But is there still time to make your own ornaments? Of course! 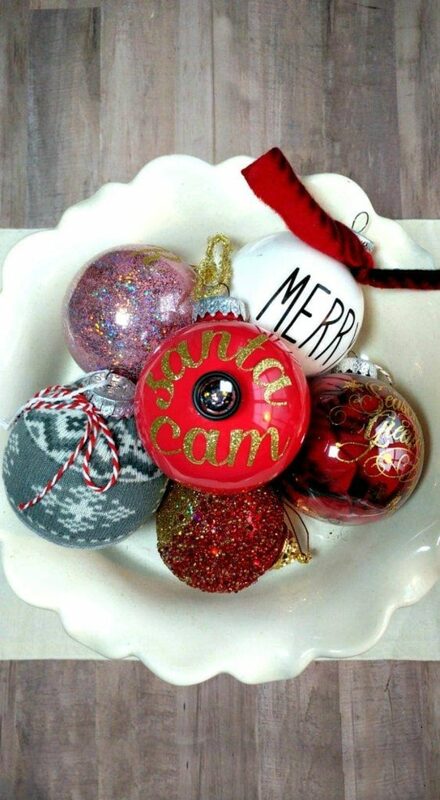 Today’s post is all about 7 different easy Christmas ornaments to make yourself. You can do these in no time flat, and you probably have most of the craft supplies you need on hand. No crazy fancy stuff here, just simple Christmas crafting you can do in an afternoon (and for cheap!). 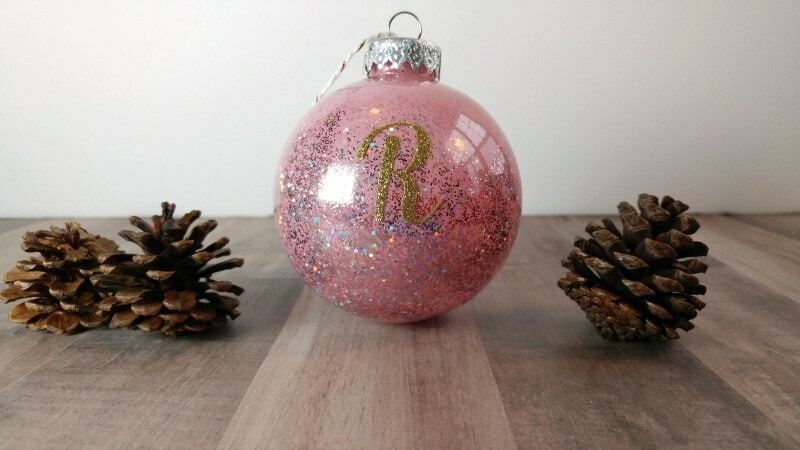 This sparkly, girly ornament was made with some leftover nail polish! The color didn’t work great for my nails because it was too transparent but it totally worked to paint an ornament. Just dump in a few drops of nail polish at a time and swirl. You can mix colors, or do a solid color plus glitter like I did for this one. It’s a great way to use up older colors that are too goopy to use on nails, or ones that just don’t work for your skin tone. Use any kind of tissue paper you have laying around! Works with solid colors or simple patterns too. I found some leftover pieces of tissue paper that had a fun gold polka dot pattern. 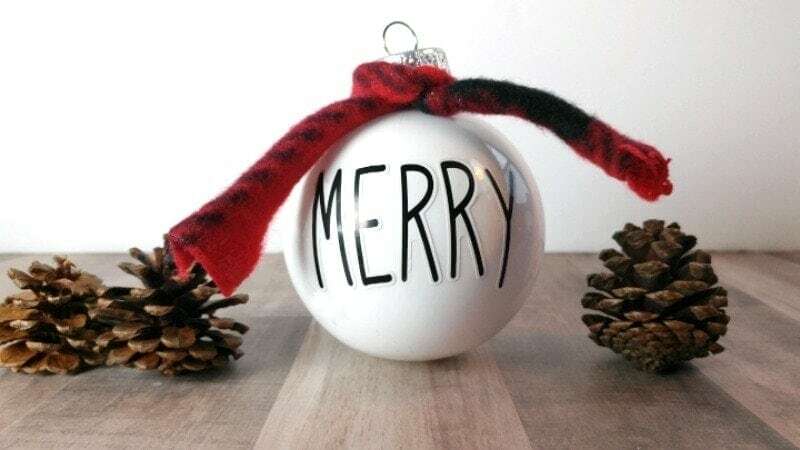 Totally easy Christmas ornaments to make yourself, just tear up small pieces of tissue paper, brush on some Mod Podge and stick the tissue to the ornament ball. When the whole thing is covered in tissue paper, brush on a thin coat of Mod Podge to seal it and let it dry. Full confession: I actually bought this ornament pre-made BUT it is one that you could easily replicate. 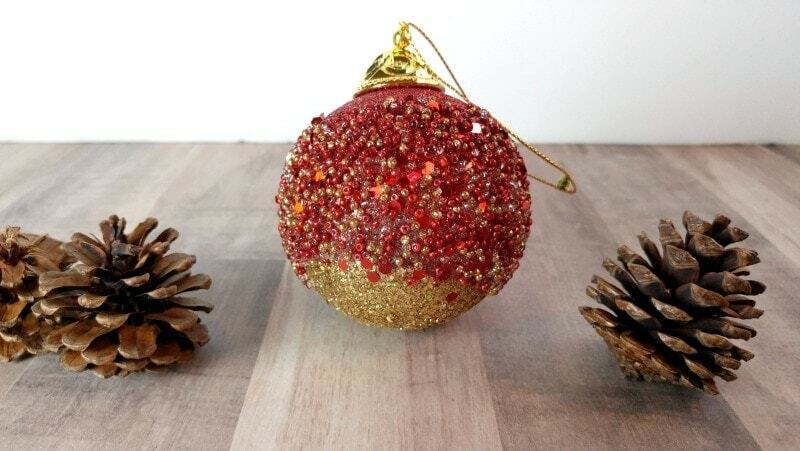 Simply dip or brush your ornament with glue or Mod Podge, then roll it in seed beads of your choice. You can alternate them with glitter too. Have you ever seen something at a store and went “uh…I could totally make that”? Yeah, that’s pretty much what happened when I started seeing how popular the Rae Dunn stuff has become. It doesn’t get much simpler than this! 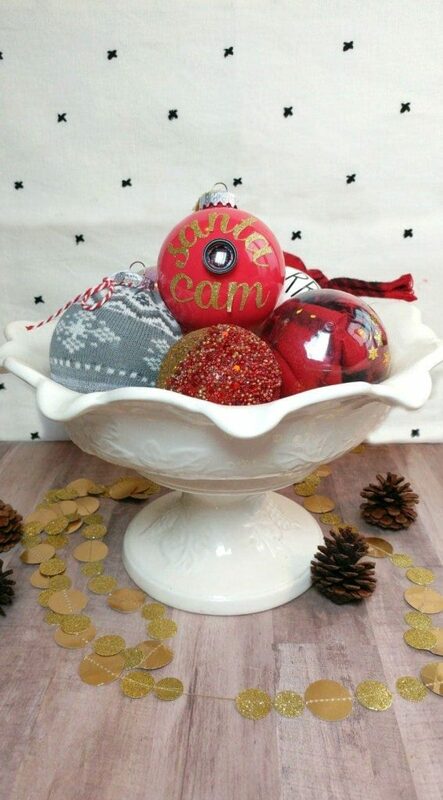 Simply swirl a little white paint inside the ornament to cover the interior surface. Let dry, then either use a paint pen, vinyl lettering or stickers to write the words of your choice. Holiday sentiments like “JOLLY”, “MERRY” or “SPARKLE” work well here, but you could also do family names like “AMY”, “GEORGE” or last names like “ROBERTS”. I’ve seen lots of variations on this ornament, but this one is my favorite! It has a “real” camera lens on it. 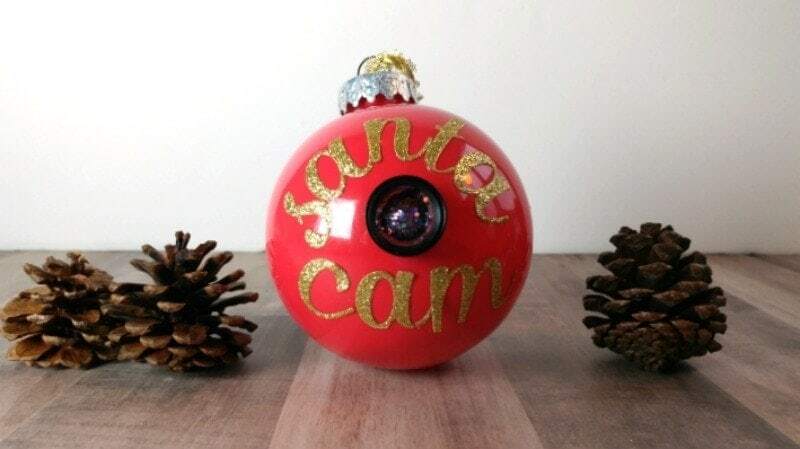 I simply painted the ball red (again, swirling red paint on the inside), used glitter letter stickers for the “Santa Cam” wording, and then the best part: the camera lens. I found a cell phone camera lens kit at FiveBelow for 5 bucks. Simply paint the inside of the lens (I used glitter paint here, but you could paint it any color, I just thought the glitter looked more “magical”) and glue it onto the ornament. If you don’t have FiveBelow, you can find a cheap cell phone camera lens kit on Amazon to use as well, although it’s not quite as cheap. This one is so stinkin’ simple, I’m almost embarrassed to tell you how it’s made. Just take your ball, put it into the toe of a holiday sock (either one that’s missing it’s mate, or a cheap pair of new ones. I got these at the Bullsye Playground (aka: Dollar Spot) at Target. Pull the sock taut, and trim the sock just above the opening of the ornament. Use a little dab of craft glue to hold it in place, and tuck it underneath the top (hook part) of the ornament. 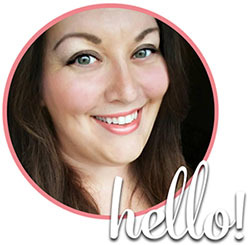 Accent with a little ribbon around the neck of the ball, and you’re good to go! 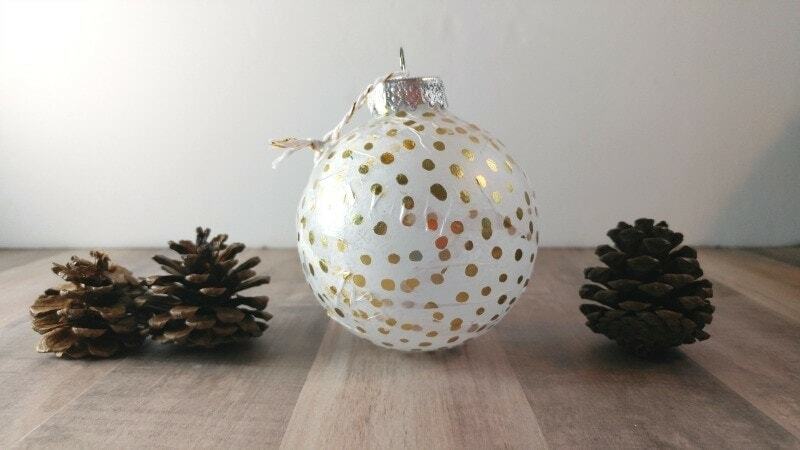 SUPER easy Christmas ornaments to make yourself! This one is another no-brainer. 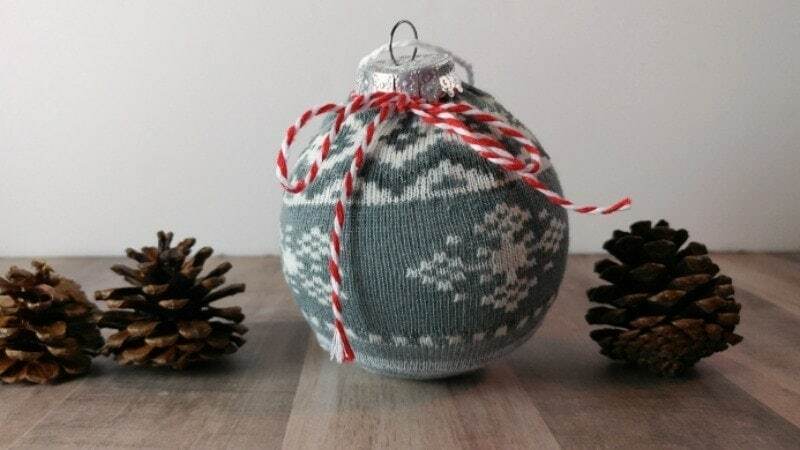 I simply took scraps of buffalo plaid fleece (you can use any fabric you want) and stuffed them into the ornament. Once it was sufficiently full, I gently rubbed on a Christmas decal. You could tie some sparkly ribbon on instead if you don’t have a decal, or use any additional embellishments you want. These are also a very easy Christmas ornaments to make yourself, so easy the kids could do this one! For all of my super easy Christmas ornaments, I used plastic “shatterproof” Christmas ornament balls. You can get these at Michael’s or any craft store. I chose plastic ones because we have a new kitten, and frankly, I’m kind of a klutz. If your kids are making them, I would suggest going the plastic route as well. We made painted ornaments a few years ago, and I found out the hard way that the paint inside takes FOREVER to dry when our cat knocked down a glass ball and it shattered sending glass shards and wet paint EVERYWHERE. So that’s it for my 7 easy Christmas ornaments to make yourself! Which ones are your favorites? Be sure to tell us in the comments below. Also, if you make one of these, be sure to tag An Exercise in Frugality on social media so I can see your creations!